There’s no brushing it off—painting is messy business, no matter how careful you are. Every DIY home decorator knows the struggle. But with the help of a few household items, you can save yourself the trouble of unforeseen accidents and needless cleanups. 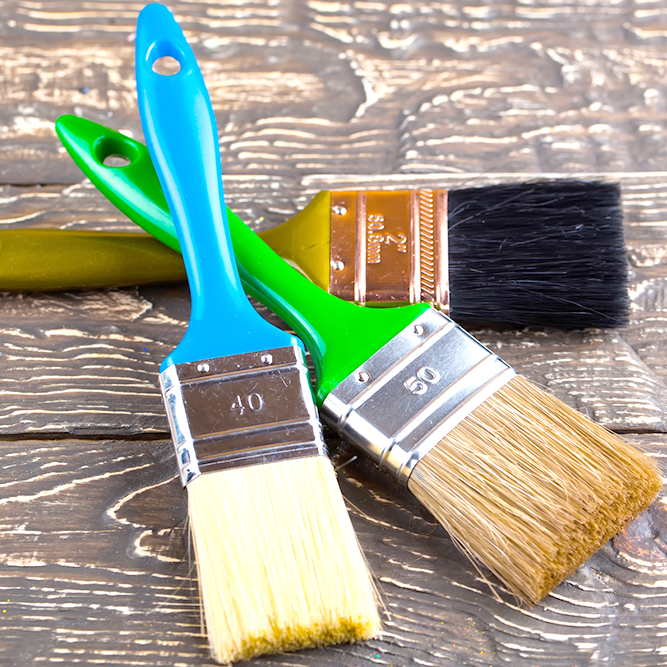 Here are five must-know hacks every DIY home decorator should keep in mind to take the pain out of painting for good. 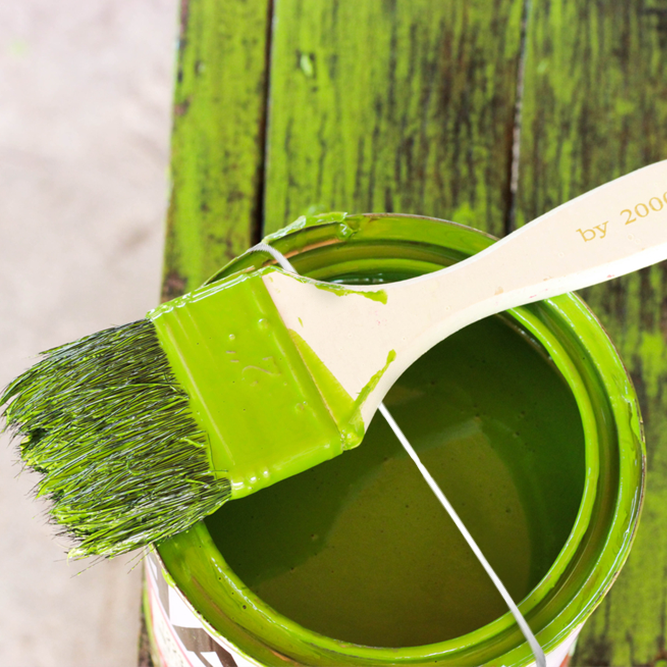 Brushing excess paint over the rim of the can will leave a buildup of dry paint over time. Eventually, you may have problems sealing the lid. Skip the mess and loop a rubber band over the opening of the can, and use that instead to wipe your brush after dipping it into the paint. Take a break from painting and the next thing you know, your paintbrush has dried up. Wrap your paintbrushes in plastic, twist it tightly below the head of the brush, and secure with a clip, rubber band, or by laying something heavy on it. The goal is to keep air from coming in so the paint doesn’t dry and harden your brush. Your favorite brush hard-as-a-rock because you forgot to clean it? Don’t throw it out just yet! Boil some white vinegar, pour it into a jar, soak your brush for 20 minutes to an hour (or more if necessary), then wash with soap and water afterwards. Good as new! Pro Tip: Use a bulldog clip to suspend the brush over the opening of the jar so the bristles don’t bend out of shape. 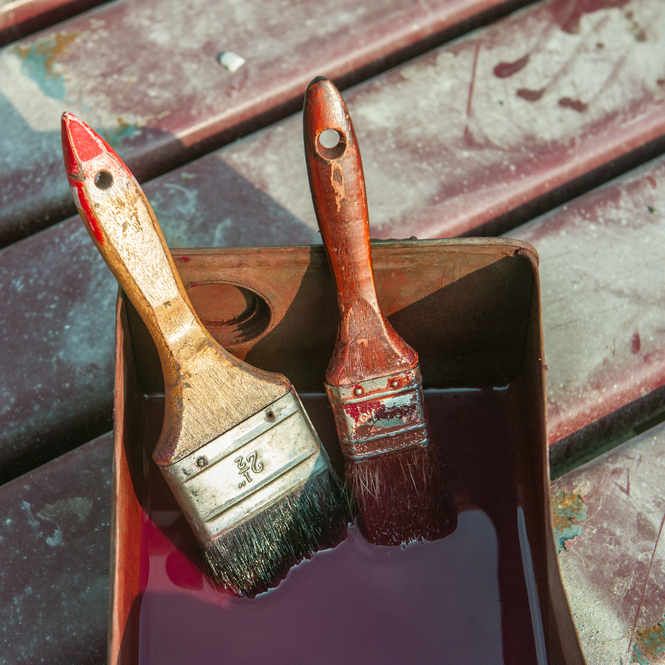 When it comes to oil-based paints, good ol’ soap and water just won’t cut it. 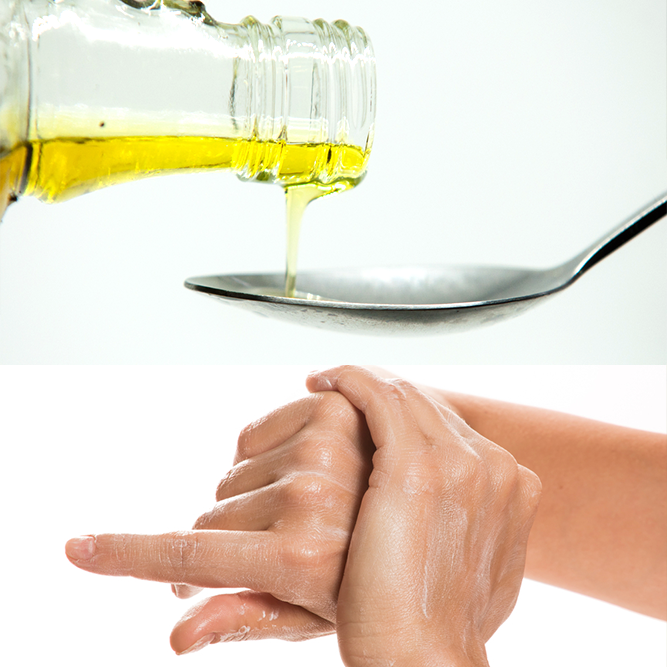 Ditch the paint thinner (which is filled with chemicals) and rub your hands with some olive oil, baby oil, or any other cooking oil you can find in your kitchen until all the paint has gone. Recycle used plastic bags by wrapping them over your paint tray. 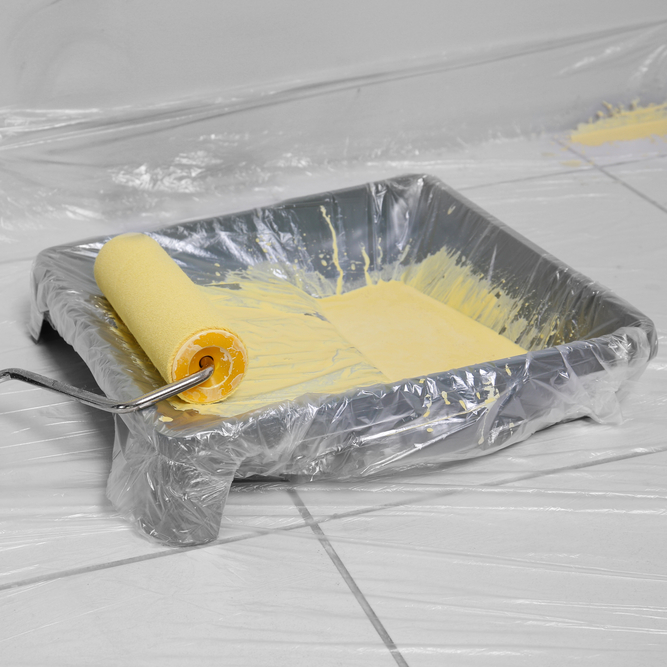 When you’re done, remove the bag and turn it inside out for a quick, hassle-free cleanup. It’s cheaper than buying disposable tray liners too. And if you can’t find a plastic bag, aluminum foil is a great alternative. Don’t forget to pour all the leftover paint back into the can!